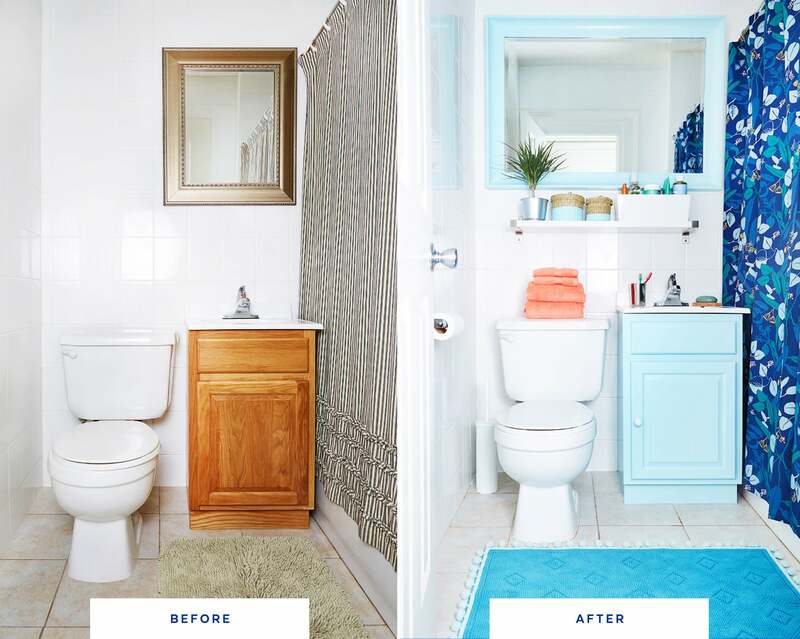 All you need to transform your bathroom is a can of paint. 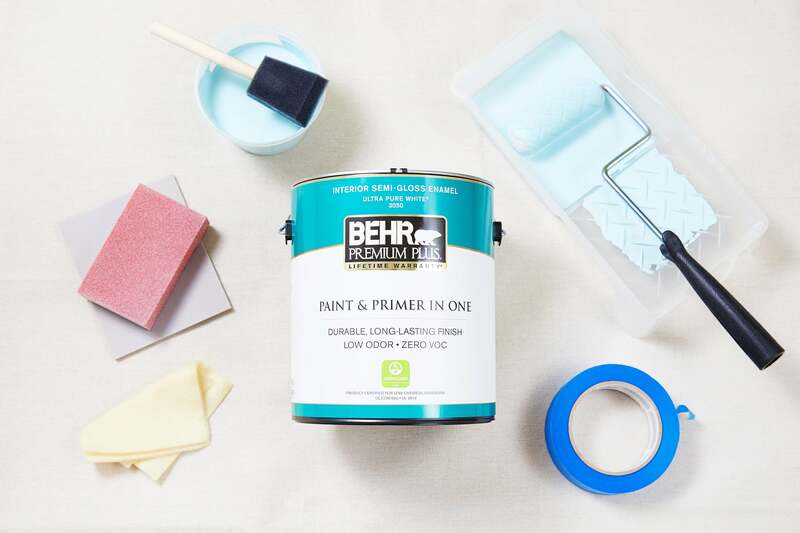 We've partnered with BEHR® to bring you the affordable and easy-to-apply paint that will help you get the job done. Whether you've got a small space on your hands, an uninspiring one, or just want a change, we've got the design DIY you're seeking. 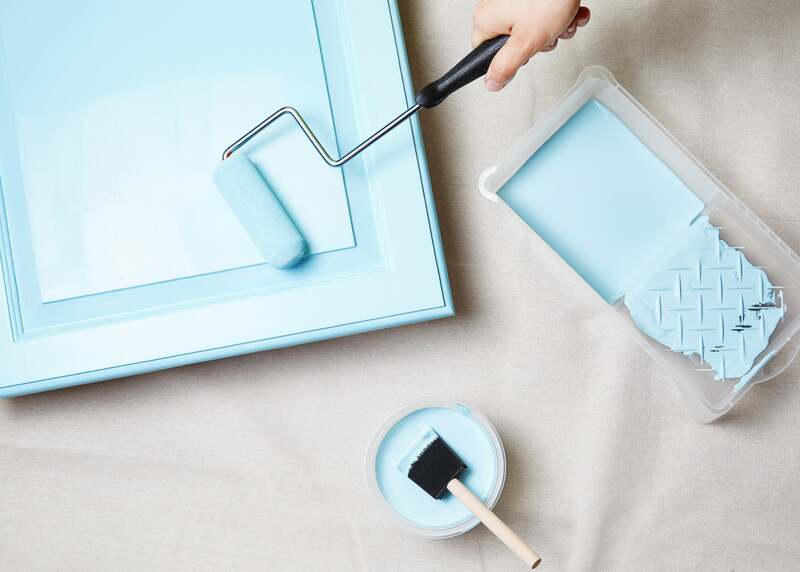 With a can-do spirit and one bucket of paint, you can create a statement-making transformation in an afternoon. Want even more impact? The season's official It color is a good place to start. 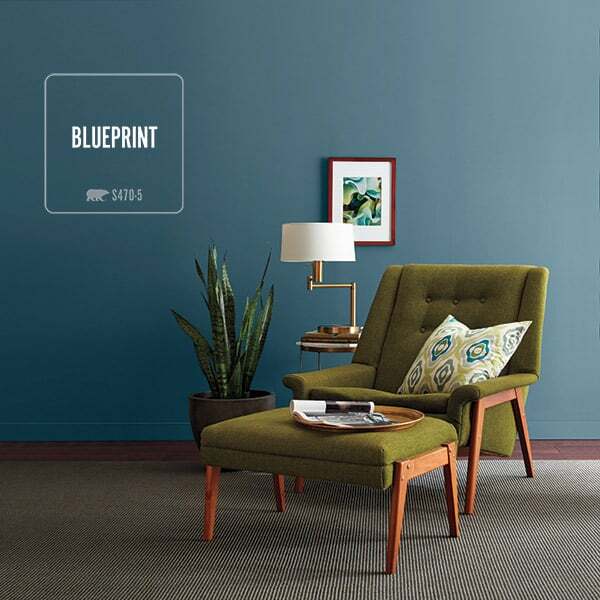 Splashed onto cabinets and a matching mirror, the calming ocean shade creates an elevated look and feel you'll love every time you step in the room. 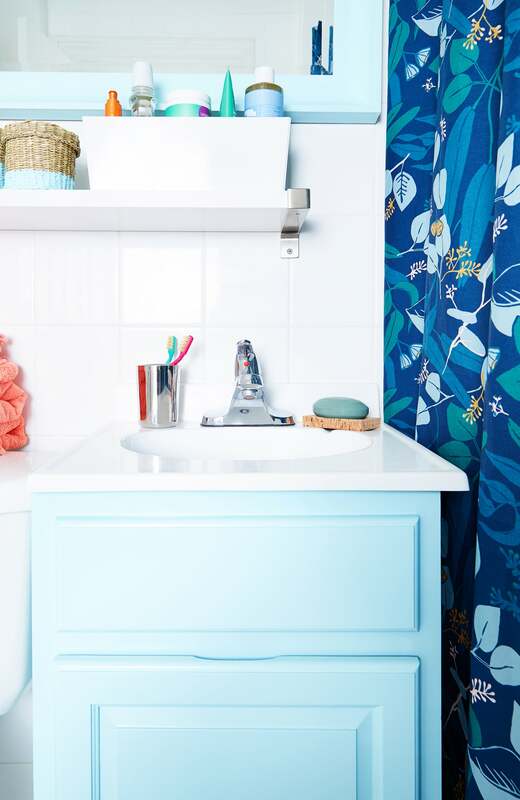 Read on for everything you need to transform your bathroom into a Pinterest-worthy oasis. Start by dismounting the mirror, emptying all drawers and cabinets, removing and setting aside any knobs, and clearing everything from the bathroom. Then, use painter's tape and drop cloths to cover any areas of the bathroom you won't be painting, including the floor around the baseboard, the wall, and the inside of the mirror. With tape and a marker, label each drawer with a number. If you're working with multiple drawers, remove the drawers one by one and label the inside cabinet where each drawer belongs with the corresponding number as you go. Repeat the labeling with each cabinet door. If you're working with multiple doors, remove them one by one using a power drill to unscrew the mounting hardware, leaving the hardware attached to the interior. Label the inside of cabinet where the door belongs with the corresponding number as you go. This will help you easily match up each piece with its original location once you finish painting. Using 100-grit sandpaper, sand all the surfaces you plan to paint, including the frame of the mirror, using a circular motion. This will remove shine and create a rough surface for the paint to adhere to. 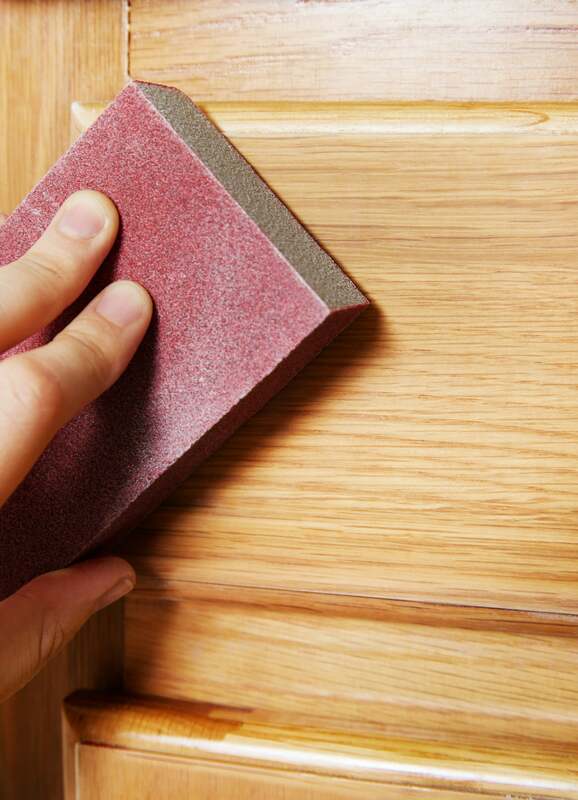 Once finished, wipe down sanded surfaces with a damp cloth to remove dust and debris. 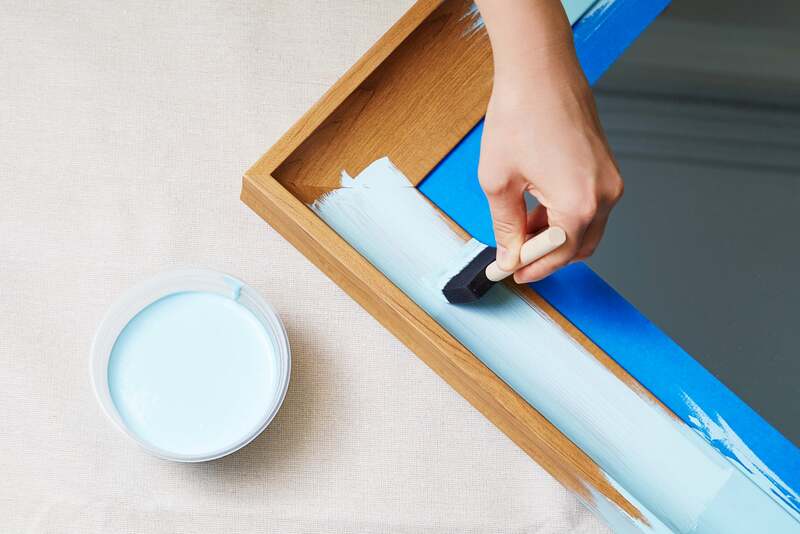 Pour the paint into a tray and use a 1-inch to 2-inch angled brush to first paint any space that's too small for a roller, like the frame of the mirror and other edges. Then, use a 6-inch foam roller to apply paint everywhere else. To achieve a smooth, even coat of paint and avoid roller marks, use light pressure and sweeping strokes. Each time you add a new stroke, overlap the previous stroke about three-quarters of a roller width. When one side of a surface is completed and dry, flip and complete the other side. Once the drawers, cabinet, cabinet doors, and mirror are completed and dry, reinstall drawers and doors and mount mirror. Replace any drawer and cabinet knobs. Decorate using a shower curtain, bath mat, and accessories in complementary shades and designs. You can even use extra paint to create a matching accent on accessories like wicker baskets. BEHR PREMIUM PLUS® offers exceptional durability and hide with a finish that resists mildew and stains. In addition, you'll enjoy the benefits of a low odor and zero VOC paint. PREMIUM PLUS is highly ranked by independent 3rd party labs and meets LEED and GREENGUARD® GOLD requirements. Find your perfect color here.